April 10, 2014 | David S. Maldow, Esq. 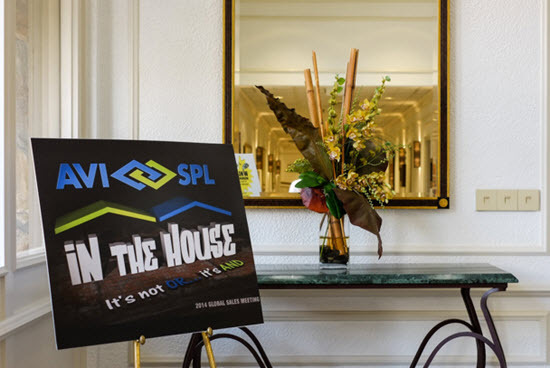 Last week AVI-SPL, the world's leading video communications provider, had their annual global sales meeting at the Saddlebrook Resort in Tampa Florida. 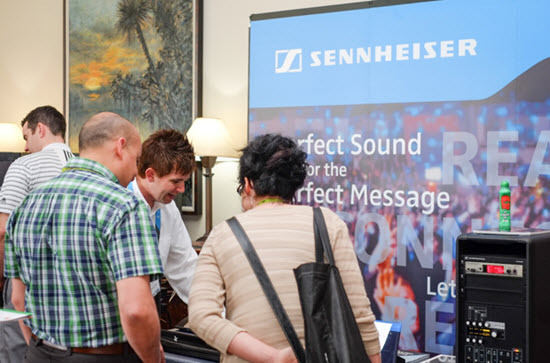 TPO News was lucky enough to be invited to the event, where we met with a number of AVI-SPL vendor partners, and saw the latest and greatest technology being shared with the AVI-SPL sales team. We also got to meet with the senior management of AVI-SPL, to discuss their current position, and future plans. 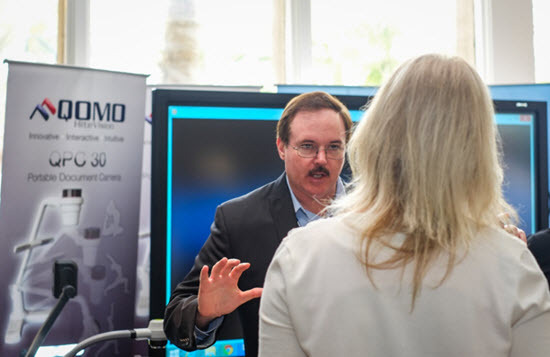 Downstairs was a mini-tradeshow, with many of the familiar names from our industry setting up full blown demo booths, as you would expect to see at InfoComm or Enterprise Connect. All of this just for AVI-SPL? 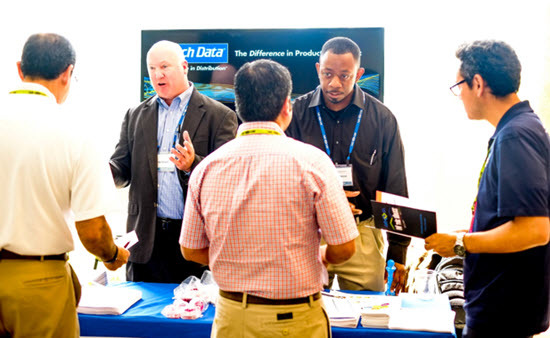 When you consider that AVI-SPL has three times the revenue of their next competitor, it makes sense that vendors will take any opportunity to ensure the AVI-SPL sales staff gets the direct scoop from the product specialists. 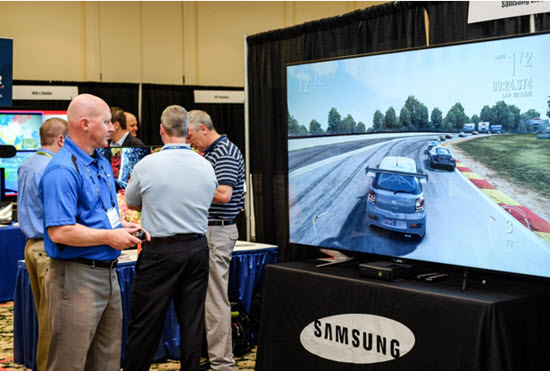 We had great meetings and demos with Polycom, Cisco, Microsoft, Pexip, Prysm, VBrick, Sony, Sharp, Samsung, Smart, Crestron, and many others (scroll to the end of this article for some pictures). 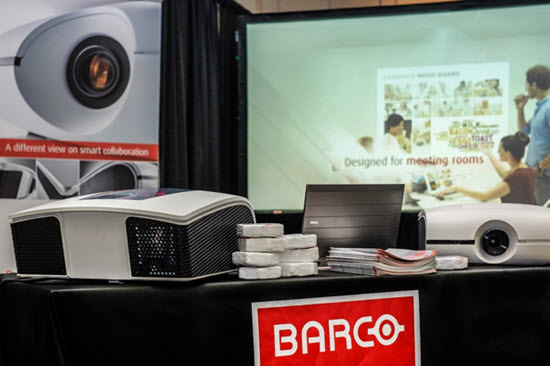 We plan on following up with all of the companies we met with to get a deeper dive into the new technologies they shared with us, so stay tuned. While I always appreciate a chance to talk about new technology and products, my real interest was in AVI-SPL itself. 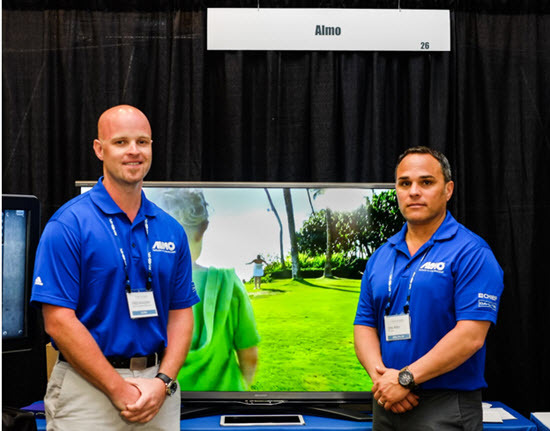 This organization, and their fellow integrators and managed service providers, are the literal hub of our industry. They are often the only "touch" that an end user gets from the industry, as they provide the products, setup, and ongoing service. Understanding where AVI-SPL is heading, and what they are thinking, is an important part of understanding the trends and nature of the market as a whole. So what does AVI-SPL want to do in our space? Everything. The theme of this event was "In the House. It's not OR... it's AND." 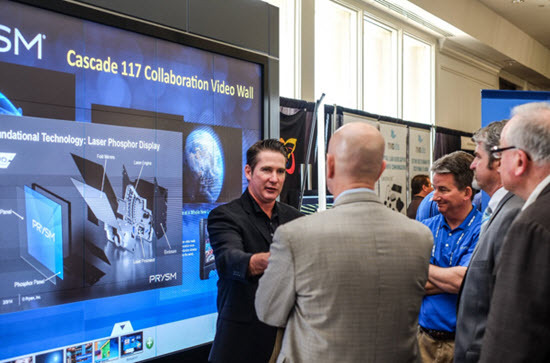 AVI-SPL has always been a "one stop shop" for the AV world, but as our visual collaboration environments have evolved, their offerings must evolve as well to meet our today's real needs. This requires a "fresh look" perspective from the very highest levels of AVI-SPL management. As evidenced in our briefings, they are laser focused on today and tomorrow's customer needs, and have been aggressively working to ensure their full suite of solutions can cover all the bases. This aggressiveness was my biggest take-away from this event. With their massive revenues, this company should be sitting pretty like Apollo Creed before the first Rocky fight. But instead, from every salesperson, all the way up to their chairman, they have the fire and passion you usually only see in an underdog. Of course they are proud of their successes, but they are far more focused on their potential to take it to yet another level. It was stated throughout the event that AVI-SPL is not interested in selling products, they are interested in solving customer problems. This has been a key driver in their evolution. In the not so recent past, our video environments were supported by big hardware. 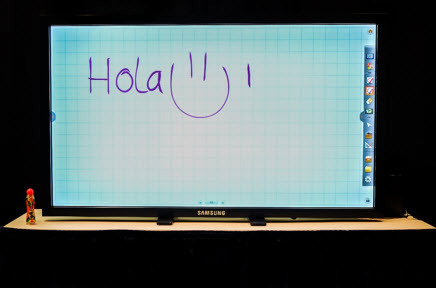 Providing video capabilities was all about selling, installing, configuring, and supporting these big physical devices. Jump forward to today when many users prefer a cloud based service and we come to the most obvious example of AVI-SPL strategy, its VMR service. The "cloud" trend wasn't a surprise to anyone. Years ago we all saw that the technology would soon be able to support it, and the business model is a no brainer. Rather than wait for their customers to start asking them where to go for cloud services, AVI-SPL started a path towards their own internal solutions years ago (with the acquisition of Iformata and partnership with Pexip providing foundational support). 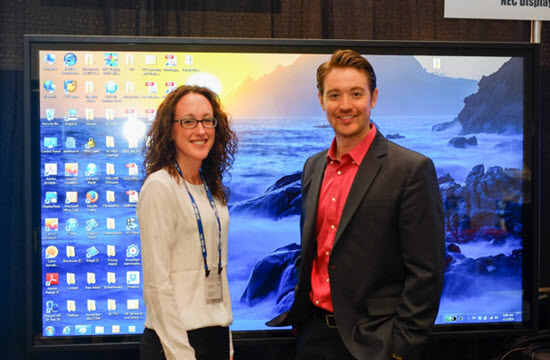 One result is their Virtual Meeting Room (VMR) solution. VMR is a cloud interop service, along the lines of competitors in our Cloud VC chart (in fact, we are in the process of adding AVI-SPL's offering to this chart). The VMR does stack up nicely against the competition. 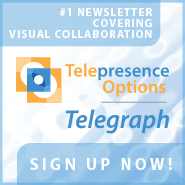 In particular, its interop support allows for connections from a large number of connection types (typical meeting room systems, WebRTC, SIP, Lync, etc.). However, the real differentiator is the fact that you get it from AVI-SPL. Obviously, it is nice that the solution itself is competitive, but the fact is that life for the end user is simpler if they have one partner supporting all aspects of their AV and VC environment. Here at TPO News, we feel as though the VMR service is suffering from a bit of industry confusion. With all the new upstarts in the industry offering cloud services, many seem to have the attitude that we need a mixed environment, with hardware being supported by the old guard, and new cloud services from these cutting edge disruptors. 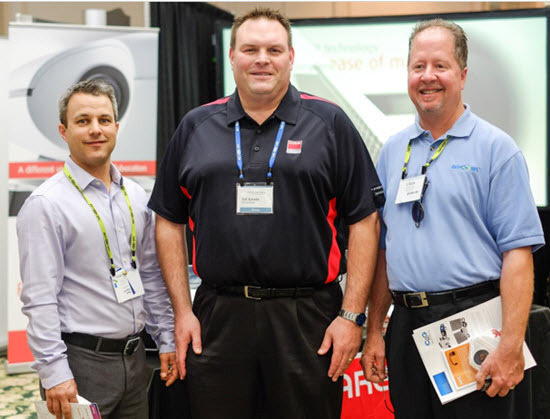 In fact, at the Enterprise Connect show, the common discussion around the AVI-SPL booth was along the lines of, "Hey, I didn't know these guys had one of those cloud things!" Yes, AVI-SPL has one of those "cloud things" and it is actually supported by technology from Pexip, one of those hot new disruptors everyone is so excited about. The phrase "best of both worlds" comes to mind. We have a demo account and plan on testing it out soon, so stay tuned. Till then, here are some more pictures from the event. 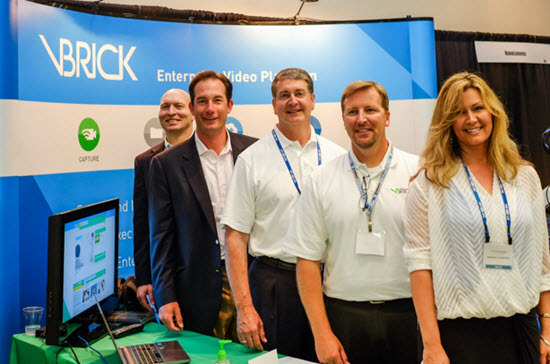 VBrick's team was in the house showing off how to stream a Lync session to thousands. 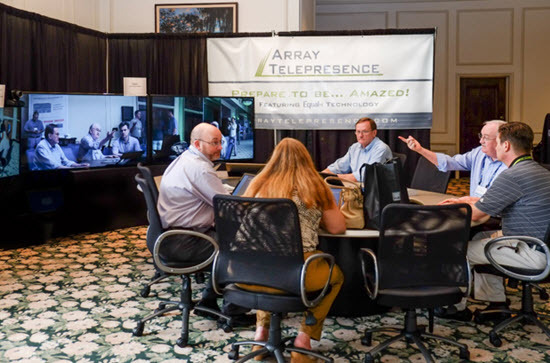 Array Telepresence made their first public appearance since emerging from stealth.� Founder Herold Williams explains to an AVI-SPL account manager how you can upgrade your existing videoconferencing codec to a $250K telepresence experience for $14,000 + the cost of a 2nd Display. While I always appreciate a chance to talk about new technology and products, my real interest was in AVI-SPL itself. 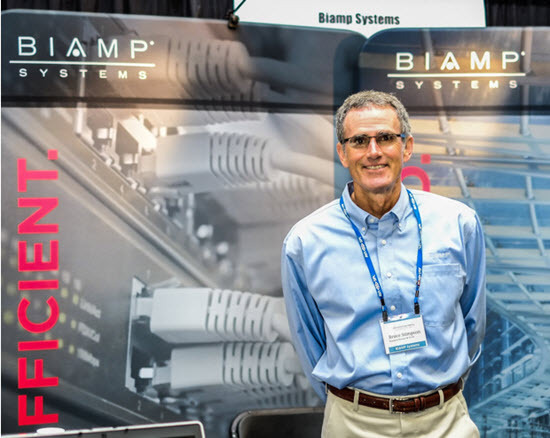 This organization, and their fellow integrators and managed service providers, are the literal hub of our industry. They are often the only \"touch\" that an end user gets from the industry, as they provide the products, setup, and ongoing service. Understanding where AVI-SPL is heading, and what they are thinking, is an important part of understanding the trends and nature of the market as a whole. So what does AVI-SPL want to do in our space? Everything. The theme of this event was \"In the House. 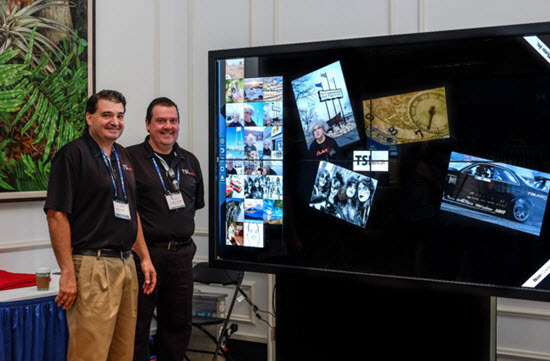 It's not OR... it's AND.\" AVI-SPL has always been a \"one stop shop\" for the AV world, but as our visual collaboration environments have evolved, their offerings must evolve as well to meet our today's real needs. This requires a \"fresh look\" perspective from the very highest levels of AVI-SPL management. As evidenced in our briefings, they are laser focused on today and tomorrow's customer needs, and have been aggressively working to ensure their full suite of solutions can cover all the bases. The \"cloud\" trend wasn't a surprise to anyone. Years ago we all saw that the technology would soon be able to support it, and the business model is a no brainer. Rather than wait for their customers to start asking them where to go for cloud services, AVI-SPL started a path towards their own internal solutions years ago (with the acquisition of Iformata and partnership with Pexip providing foundational support). 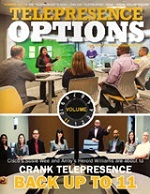 One result is their Virtual Meeting Room (VMR) solution. Here at TPO News, we feel as though the VMR service is suffering from a bit of industry confusion. With all the new upstarts in the industry offering cloud services, many seem to have the attitude that we need a mixed environment, with hardware being supported by the old guard, and new cloud services from these cutting edge disruptors. In fact, at the Enterprise Connect show, the common discussion around the AVI-SPL booth was along the lines of, \"Hey, I didn't know these guys had one of those cloud things!\" Yes, AVI-SPL has one of those \"cloud things\" and it is actually supported by technology from Pexip, one of those hot new disruptors everyone is so excited about. The phrase \"best of both worlds\" comes to mind. 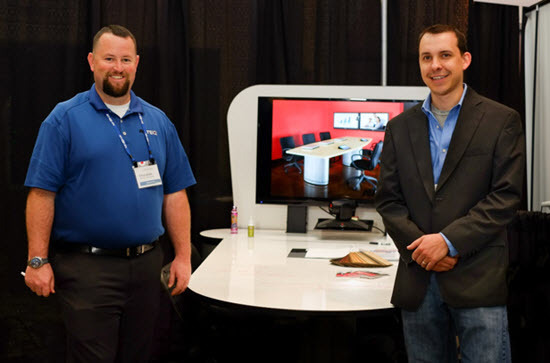 Array Telepresence made their first public appearance since emerging from stealth.� Founder Herold Williams explains to an AVI-SPL account manager how you can upgrade your existing videoconferencing codec to a \$250K telepresence experience for \$14,000 + the cost of a 2nd Display.